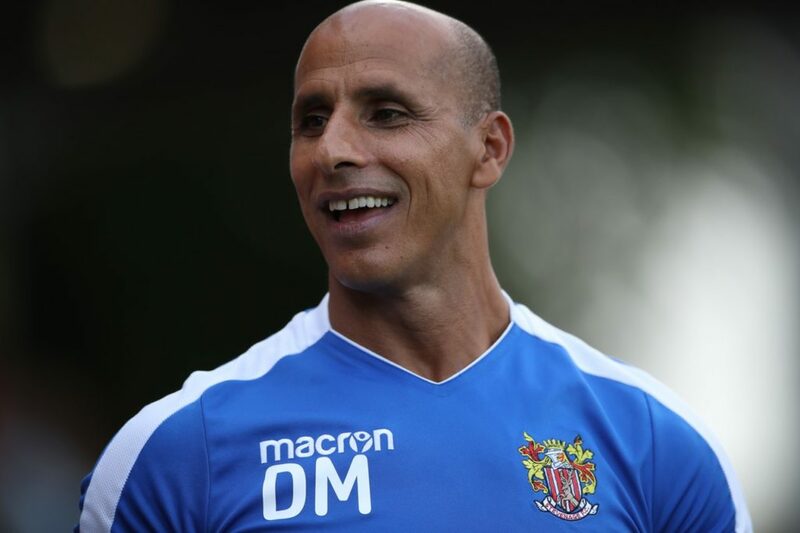 Dino Maamria questioned officials after being sent to the stands and seeing his Stevenage side have two men sent off in a 2-0 defeat at Tranmere. The Boro boss was dismissed following an altercation with referee Eddie Ilderton at half time, whilst Ben Nugent and Elijah Adebayo received their marching orders in the second half. Maamria was frustrated with both red cards and the pre-match handshake. ‘Tranmere probably won the game in the referee’s dressing room at 1.45,’ he said. ‘They do this hand-shake with the referee and captains before the game. I sent my assistant Steve Gettings. Nugent picked up two yellow cards, his first for dissent before diving in on Connor Jennings in the second half. Adebayo was then dismissed in injury time for elbowing Mark Ellis, although Maamria insists it was a clash of heads. And of his own sending off, he said: ‘I thought it was the 49th minute they scored in. They put three minutes (added time) up. ‘Before that, we were playing well and managing the environment. We played in their half and limited them. ‘I walked to the referee to ask him why he played four minutes and he told me ‘you’re not allowed to come inside the pitch at half time’. ‘I didn’t know that. He didn’t red card me, but said I had to watch the second half from the stand. just wanted an explanation.’ For Tranmere, this was a first win in four matches, with goals either side of half time securing the three points. 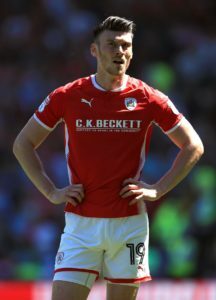 Kieron Morris, on loan from Walsall, grabbed the first, nodding home at the back post from Connor Jennings’ clever clipped cross. And then James Norwood completed the scoring after the break when he rounded the goalkeeper and fired high into the net from a tight angle. Micky Mellon was relieved to see his side’s poor run come to an end, adding: ‘We must give the lads great credit for the performance. ‘We have, quite rightly for a team who’s so proud of their team, taken a lot of criticism because we haven’t won games. ‘We knew we had to man up today and try and get that first goal and keep a clean sheet.